The Toronto Hair Transplant Clinic offers the latest and most effective treatments such as platelet-rich plasma therapy (PRP) treatments to help with the battle against hair loss. PRP is a fairly simple, non-surgical, and natural treatment for hair loss that uses a patient’s own platelet-rich plasma from their blood to repair damaged hair follicles, stimulate hair growth, and provide fuller and healthier hair. The procedure takes only approximately 30 minutes and within a few months provides some very noticeable results. It is great for patients who are looking for an effective, yet affordable alternative to long-term, daily hair restoration treatments. But it is also very important in stimulating robust hair growth when used as an adjunct to an FUE (follicular unit extraction) hair transplant procedure. A patient’s own PRP is injected into the areas of the scalp that are experiencing some level of hair loss. 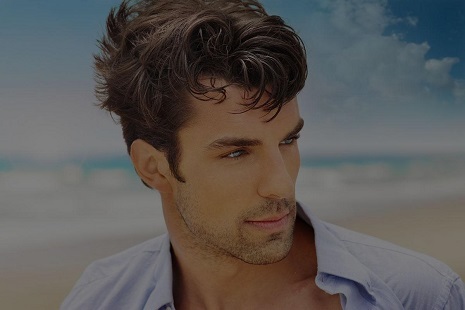 The healing and growth factors in this PRP work to restore and stimulate hair growth. PRP is effective for male and female hair loss, and we have seen some outstanding results with our PRP patients. A patient’s platelet-rich plasma contains active growth factors that stimulate hair growth when injected into the areas of the damaged follicles. A sample of blood is drawn from the patient and then placed into a centrifuge. It is spun in the centrifuge at very high speeds until the enriched stem cells or platelets are separated from the other blood components. Once the plasma has been isolated, it is injected into the scalp using a needle. The platelet-rich plasma works to stimulate natural hair growth by repairing dormant or damaged hair follicles. The experienced and trained team at the Toronto Hair Transplant Clinic makes sure that the procedure is done properly. The injections will leave a small amount of plasma close to the hair follicles so that they are stimulated by the growth factors and stem cells. This will eventually produce higher-quality hair and accelerated hair growth. PRP has been used as a stand-alone hair restoration treatment to restore certain types of hair loss. In most cases, however, it works great in conjunction with a hair transplant to ensure the greatest results. Most patients who we consult with at the Toronto Hair Transplant Clinic are very well researched before they arrive. They have a pretty good understanding of what is causing their hair loss and what hair restoration options are available to them. One of the most recent treatments that is showing proven results is the use of PRP, otherwise known as platelet-rich plasma therapy, for treating the loss or thinning of hair. The use of PRP in hair transplant procedures began when a group of hair transplant doctors were looking for a way to ensure the survival rate of the grafts that were to be used in the hair transplant process. If a follicular graft that has been harvested from the donor area is away from its natural blood supply for too long, it will die. Protocols are followed and steps are taken to ensure the survival of the majority of the grafts until they are able to be transplanted into the recipient site. However, even when the graft is successfully transplanted, that does not always meant that it will ultimately survive and, even more, flourish in its new home. This is what led to the studies of using PRP in hair restoration treatments. PRP had been used for decades in sports medicine and for many years in other fields of medicine to stimulate and enhance tissue repair while also promoting a faster healing time after surgery or injuries such as burns. Platelets are a component of the biological makeup of our blood. Along with red and white blood cells, platelets play a very important part of our blood system. Red and white blood cells have a nucleus, but platelets don’t. Therefore, they are not actually considered “cells” like a red or a white blood cell is. They are also smaller then the red and white blood cells. Platelets play a big part in the release of chemical factors that are important to the formation of clots. The platelets will manipulate their shape to “interlock” with other platelets and form a barrier that stops the bleeding of the wound. This barrier is constructed by these “interlocked platelets” as well as strands of fibrin. Platelets are the first responders to any injury that is bleeding. They are also a biochemical storehouse of all of the molecules that are responsible for the regulation and signaling of these growth-factors that all play a big part in the recovery and healing of flesh and tissue. Is PRP a new thing? Not exactly, but it is fairly new for hair restoration. This treatment has been used for decades in other surgical applications and wound care. Initially it started as a healing adjunct to assist with open heart surgery. It has in recent years shown proven results when used for hair restoration and, even more recently, in serious spinal injuries. Patients may experience some pain and discomfort from the injections. We administer local anaesthetic beforehand to alleviate any possible discomfort or pain. An effective PRP treatment requires 3 treatments spread out over 1-month intervals. So to be the most effective, a patient will have the first treatment and wait 3 to 4 weeks before having their second treatment, then 3 to 4 more weeks before having their third treatment. Further studies are showing that regular treatments every year are also beneficial. A single treatment costs $1,200 + HST, but if you purchase a package of 3, it is only $3,000 + HST (a savings of $600). Further treatments are charged at $1,000 + HST as needed. Please note that these prices are subject to change over time.